I always had addictive traits, but once my sister died of alcoholism, I gave up on life and death became so real to me I became paranoid I was always dying. I eventually didn’t even care if I died. I couldn’t function on it, and I couldn’t function off it. I eventually in 2015 ended up in 3 rehabs, two psych hospitals, jail twice, and died once. I left an extremely abusive relationship and was in a lot of pain. 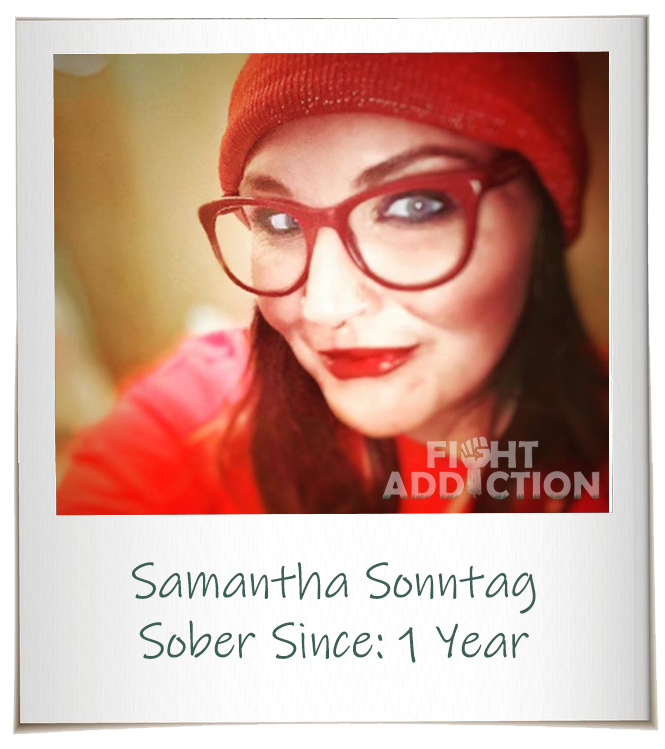 We started going through a trial because he tried to kill me and I decided if I didn’t get sober then and feel the feelings I could never get sober and cope with emotions. It was beautiful. I went through the hardest year of my life never picking up a drug or drink. I was not going to give him anything else, and that meant my sobriety date! Overwhelming! My story just went national, and it’s giving me a chance to do what I love to do, which is help people. Always find the blessing in the lesson, ever see the purpose in the struggle. You have to be completely open, honest, and willing, oh and ready! Until you are prepared, you are going to keep fighting against recovery!